Remissio is latin for “forgiveness”. Saint Kateri exemplified humility by her desire to seek forgiveness for herself and for others. 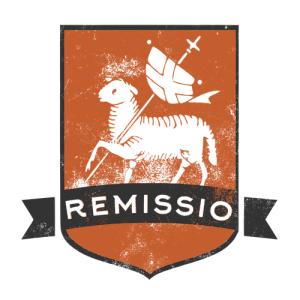 The image for Remissio is the lamb. The lamb represents Jesus and his sacrifice on the cross to wash away our sins. The lamb is also emblematic of the sacrifice of saints throughout their lives, such as the many sacrifices made by Saint Kateri Tekakwitha. This team’s color is orange, which represents worthy ambition. It serves as an example that trying to be in an attitude of forgiveness and sacrificing our desires to God’s will are the worthiest of ambitions. The doors open at 11:45am, with the event getting under way at 1 pm. Please allow 30 minutes to park and make your way to your team. Upon arrival, go to the registration booth to pick up your packet and team t-shirt. Our staff will direct you to your team. There is no bag check. We suggest coming to the Games with what you expect to wear and carry all day. Vendors will be selling snacks and merchandise throughout the event and at the celebration following the awards ceremony. Free water will be provided throughout the event.